Special thanks to MOMZY for sponsoring this post. All opinions are my own. Moms, you are awesome. Well, I think a lot of people are awesome, but right now, I’m talking to the moms out there! That’s because one of my goals for this year is to empower moms. They make up a huge chunk of the population, and I’d like to think that by building up moms, it will start a wave of empowerment that will spread to so many different parts of life! So this year, I’m going to be sharing many wonderful things as part of my “empower moms movement,” from encouraging articles to tools that might possibly help a fellow mom out there. 1) It is a site where all products are posted and recommended by moms. This is really what MOMZY is all about. I have often seen moms asking for recommendations for certain types of products from other moms on my Facebook Timeline. For example, a reliable vaporizer brand, where to get children’s clothes that don’t have characters on it, or what jeans will make their butts look good! And I’ve done it too! I’ve asked about potty seats, car seats, and more. But with MOMZY, instead of waiting for (or not getting) a response, you can just hop on and see specifically what other moms are recommending! You can browse curated collections of products that match the interests you set up in your profile or from other moms that you follow. And you also have the ability to create your own “bundles” of products that you recommend or would like to purchase in the future. 2) Everything can be purchased online. In my opinion, online shopping was invented for busy moms! Like the moms who are too busy at work to run to the store, who don’t want to drag little ones through the mall, who want to spend their “me time” relaxing at home instead of waiting in line, and every other type of busy mom out there! So with MOMZY, you won’t have to worry about that really cute pair of boots only being available at a store that you just don’t have access to. You can just order them right there, from the comfort of your own home! It is like a “one-stop-shop.” Each product links directly to the store website where it can be purchased. It pretty much eliminates the need to spend time searching for a store that carries the specific product you found. Plus, you don’t have to visit a bunch of different websites to look for a variety of items. You’ll be able to find baby and children’s items, women’s fashion, gear for men, and everything in between! 4) It helps you discover new ideas, stores, and products. This was my favorite aspect of MOMZY. As I was browsing, I fell in love with the variety of items on the site. It helped me discover online stores and products that I didn’t even know existed. I never would have had the time to spend searching for those ideas! 5) It is easy to use. It was incredibly easy to add a button to my Bookmark bar that allows me to add products to my “bundles” as I discovered them on other websites. When I found something, I just clicked the “Post to MOMZY” button. A new window popped up where I selected the product image and filled in a little information about it. Once I clicked save, it was added to my bundle, so I can go back and reference it at another time. Plus, it lets other moms that follow me know that I like and recommend that product! 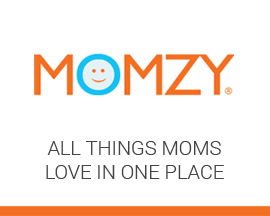 I’ve only been on MOMZY for about a week now, but I am loving the potential that it has to help me. It is a new site, but I think that as the number of users increases, the benefits to the users will also increase. If you join, I’d love it if you would follow me. Just click here to find my profile! I’d also like to suggest you follow this bundle with products dedicated to empowering mothers and women. So, now it’s your turn. What online tool have you found really helpful as a mom? I’d love to hear from you in the comments below! Follow my Tips for Moms board on Pinterest for more helpful ideas! 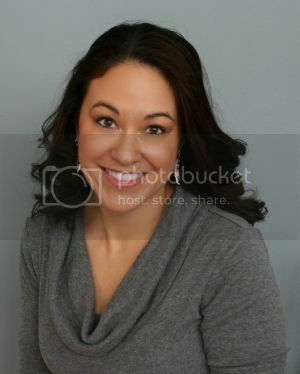 Follow Sarah @ Me Plus 3 TODAY’s board Tips for Moms on Pinterest. Tagged Motherhood, Single Mom, Sponsored, Tips & Tricks. Bookmark the permalink.